Based in the North East of England, Peterlee Glass's friendly and personal staff can offer advice on all aspects of domestic glass products installation. We also offer custom glass services, no job is too large or too small. Our glass products include glass balustrades for internal and external installations, glass splashbacks, glass floors, glass shower screens, glass furniture, painted glass and custom mirror glass. We can advise on the most suitable glass products to use for your application and can visit your home for a professional survey and advice on the best option to suit your requirements. We have a dedicated specialist glass fitting team to suit all applications. 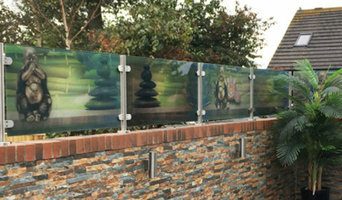 We are a cutting-edge art glass company; we use digital ceramic printing to print onto glass. The glass is safety-toughened and the image is UV-stable and scratch-proof; high resolution with vibrant colours. Our glass suits so many markets, interior and exterior: architects, interior designers, kitchens, bathrooms, wall art, signage, furniture, portraits, capture those life memories of wedding photos, children or pet’s photos or favourite destinations... as well as endless other applications. Call us now or call into our art glass showroom to see how we are “Breathing Life into Glass”. 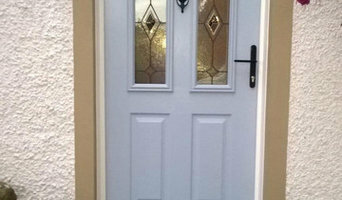 We offer the largest Solidor Composite Door range in the UK – from ultra modern contemporary designs to traditional stable doors, we have it covered. 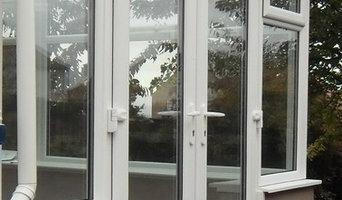 Here at Active Windows & Doors, we aim to provide the highest quality double glazed windows, doors and conservatories. We regularly work throughout Tyne and Wear. Our team believe in providing excellent customer service from beginning to end. Utilising a team with over 25 years experience in the industry, you’ll be in safe hands when you choose Active Windows & Doors. As double glazing suppliers based in Washington, Tyne & Wear, who are a family run business, we understand the importance of supplying quality double glazing. We have a showroom displaying a range of bespoke double glazed windows and doors including upvc French doors, sliding doors, casement windows and Composite doors. 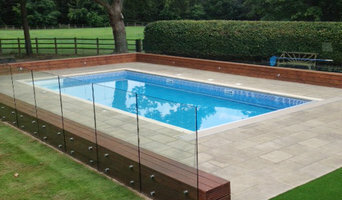 As an authorised SWISH fabricator and installers with a dedicated team of skilled craftsmen who are also SWISH approved and hundreds of satisfied customers, we are confident we can deliver. With over 26 years of experience as glaziers and maintenance men, Jenkinson Glaziers & UPVC can offer high quality property maintenance services for your peace of mind. Whether you are a business or homeowner, we can perform a wide variety of repairs and maintenance that will ensure you only need to call one company for all your property maintenance needs. We install glass and mirrors in the north east and uk wide. Fresh Double Glazing Services have been established for 5 years with over 15 years experience in the trade, offering quality advice and services in the following areas: Glazier Gutter Repair French Doors Double Glazing Installer Double Glazing Repair Fascia/Soffits/Guttering Misted Double Glazing Orangeries Patio Doors Supplier/Installer We pride ourselves in offering a prompt, efficient service and are always conscious of our customers needs. We are also pleased to offer free estimates, offer a no call out fee policy & fully guarantee all of our work. We joined Checkatrade to be able to give our customers past, present and future an informed choice from our recommendations. Please feel free to contact us to discuss your individual needs and requirements, we are always happy to help. 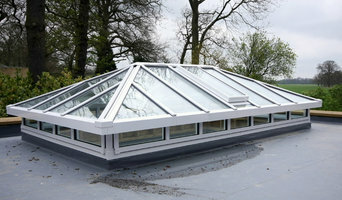 B & R Glazing Company Limited is a family run business who have been trading for over 50 years. Our business is built on recommendations from many satisfied local customers and businesses who know that we give unconditional after sales service throughout the life of the products that we sell and install in the homes or offices throughout the North East of England. B & R Glazing pride ourselves on No Hidden Discounts, No Hard Sell, Just quality personal service and high quality products at a price that you can afford. If you are thinking about improving your home by having Double Glazing Windows or Doors, Conservatory or a Sun Room, then why not come along to our showroom or give B & R Glazing a call today on 0191 3780 497. What can specialist window companies, glaziers or window fitters in Newcastle upon Tyne, Tyne & Wear do for me? Specialist Newcastle upon Tyne, Tyne & Wear window companies and fitters can diagnose problems and prescribe a choice of remedies, while keeping in mind factors such as the style of your property, ease of operation, budget, noise reduction, thermal efficiency (the lower the U-value, the better), durability and maintenance. It is a balancing act that only a glaziers can deftly strike. Most Newcastle upon Tyne, Tyne & Wear window companies will be able to take care of both supplying and fitting your new or replacement windows, but if you have already purchased your windows from a window manufacturers then you can find a Newcastle upon Tyne, Tyne & Wear fitter to just take care of the installation. Where can I find the best choice of Newcastle upon Tyne, Tyne & Wear window manufacturers and window installers? Right here on Houzz. Look for Newcastle upon Tyne, Tyne & Wear Windows & Double Glazing professionals in the Find a Pro category and then save images of window styles you love in an Ideabook. Take time to look through each window company’s profile and get a sense of where their strengths and specialisms lie. Make sure your window manufacturers’ work comes with accreditation: whether from FENSA (Fenestration Self-Assessment Scheme), FMB (Federation of Master Builders) or TrustMark. Find window companies and glaziers on Houzz. Narrow your search in the Professionals section of the website to Newcastle upon Tyne, Tyne & Wear window companies. You can also look through Newcastle upon Tyne, Tyne & Wear photos by style to find new and replacement windows you like, then contact the glaziers, window manufacturers or companies who installed them.